What’s Happening at the Republican Convention? Since I am in Ireland, we are cut off from the world – driving a lot seeing everything and preparing for our group arriving in September. So, what is happening? Do you like what is going on and what is being said? 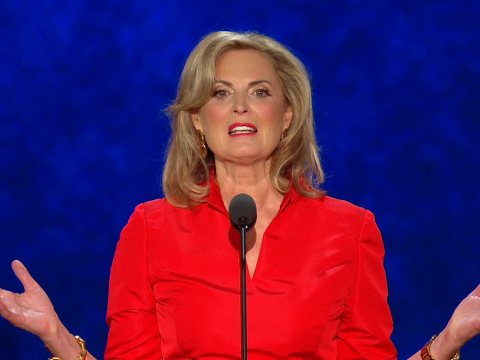 What did you think of Ann Romney and her speech? You can see the run-walk here on EveryTrail. 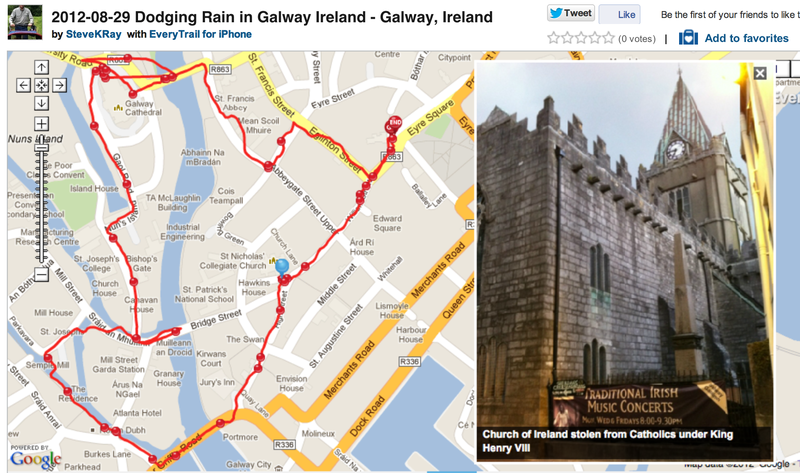 You can watch the videos, follow the map and see lots of pictures of the city, plus the rainbow. Would have walked faster and further had it not been for the cold rain. Galway is a nice university town, young, friendly, quaint and clean. You will enjoy the beautifully painted and flowers but avoid the rain which I failed to do. It always angers me to see the churches and properties King Henry VIII stole from the Catholic Church while killing the priests and monks. It was blue sky when I left and when I got away it poured cold rain. 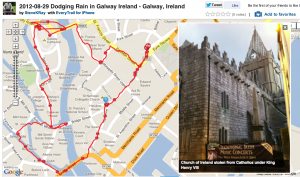 I learned my lesson – be prepared for rain in Ireland! We are here prepping for the pilgrimage we will lead through Ireland in September. Why is Former 1st Lady Rosalind Carter So Happy? In Washington State? Join our Conference! Great Conference in Wichita; Thrilling to be with 4,000 On-Fire Catholics!